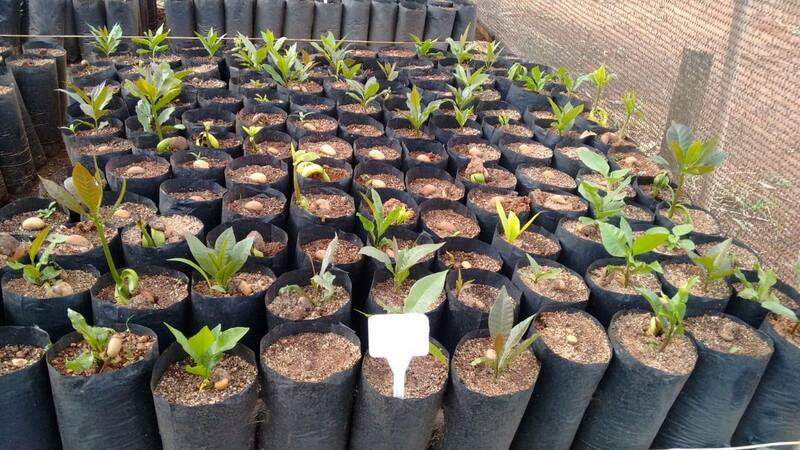 Thanks to many years of tireless effort from the whole team and the unstoppable work of our local partners and Forest Engineer, Carlos Eduardo, the first thousands of seedlings have begun sprouting at our San Fé Nursery. These first trees will serve as pioneering trees, which will grow tall and create an initial shaded canopy for other plant species to flourish underneath. The tree pictured here is a jatobá tree, which can grow to colossal heights of 30 meters! These trees will ultimately absorb large amounts of CO2 as well. The first day of planting is scheduled in December this year. This important milestone could only be achieved thanks to your financial support! We are very pleased to see our ecological restoration dream starting to materialize into a reality.